Nonprofit working among some of the world's neediest people in Asia and the Arab world wanted to highlight the disproportionate number of people who were serving in these areas. A total rebrand of their marketing collateral featured a campaign logo and tagline, statistics to highlight the need and a call to action. 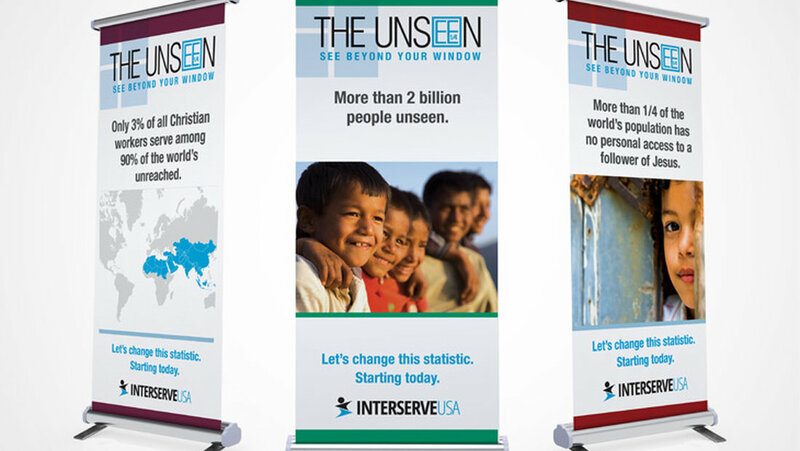 Included in this were updated displays, used at special events, churches, campuses and trade shows.